When brokers are trading on the stock market, it isn’t just a mixture of luck and the wind velocity that decide whether they are making money on daily trades or not. Forex Forecasting is using various different factors to predict how the forex market is going to move and these predictions are based on two different type of forecasting, fundamental forecasting and technical forex forecasting. While the mathematically minded will provide more support for forecasting using empirical evidence that technical analysis provides, Fundamental analysis can provide traders with information that the figures cannot, and can affect the market more than most floor traders would approve of. Fundamental analysis takes a look at the political and economical news around the world to determine the impact of the currency trading market and the rates due to market faith in a region. How does Fundamental Forex Forecasting Work? Successful forex brokers need to keep their eyes glued to political news around the world, and in particular to the political situations of the major currencies around the world. Often brokers will make use of systems like the Economic Calendar, which records the time of year in regards to political happenings, for example budget announcements by the government, and not the changes to the economy and the forex market year in and year out to then use the data at later dates to predict trends. While natural disasters and completely unforeseen events in countries can skew the data, often the cause and effect system can be monitored to predict movements in the market. Forex forecasting of this can lead experienced traders to act on rumours to make the most out of beneficial trades from experiences and often viewed in the market by fellow traders as the less reliable of the two forex forecasting analysis methods. What are the events that are paid attention to? Depending on which countries forex markets you are trading in, it makes complete sense to watch all speeches by the President, Minister of Economics and any speech by the Governor of the Reserve Bank. Make sure you watch in trading pairs and make sure you get the plus and the minus simultaneously traded for maximum profit. Other options that you need to pay attention to are the employment rates of a country, what the gross domestic product figures are and also take special care to pay attention to banking interest rates. Great news papers and sites for you to watch for forex forecasting are Bloomberg, Forbes, CNN Money and Reuters. 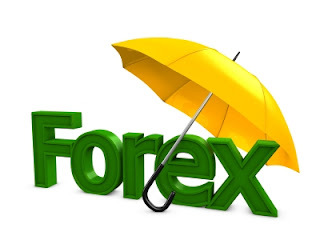 With all of these informative pieces of information and a constant eye on the news, many traders around the world have turned great profit in using forex forecasting practices.